A year ago today I posted this photograph on my tumblr. I used to post on my tumblr everyday in those days, the way I posted was almost feverish in intensity. I was speaking to myself through images and quotes, as well as my own writing. These days I am not neglecting my tumblr, but I sort of am… internet connection issues, and outernet life changes and challenges combined. Things have a way of evolving whether we want them to or not. 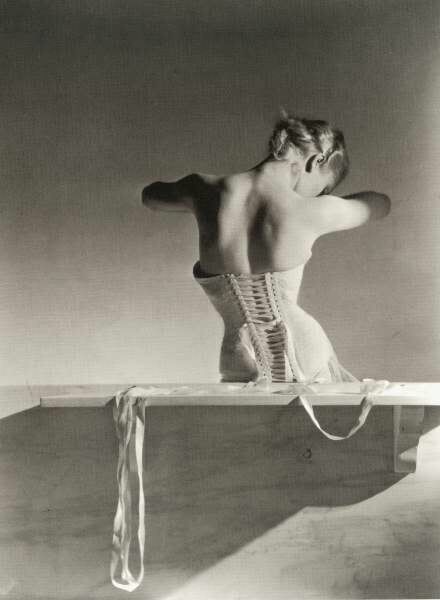 I had the unexpected honour of meeting Horst P. Horst and watching him work. He was a very gracious man and an extremely talented photographer and artist. This photograph is iconic. It has inspired many other artists and you will probably recognise it immediately. I adore the writing of Hermann Hesse. He too was a very talented artist of words and thought.